Upgrades and enhancements for the 2018/19 season ensure that FM19 Touch is the most polished release of the series, ensuring your rise to top is as efficient and enjoyable than ever before. Take a ready-made path to success with new, off-the-shelf tactical pre-sets including â€˜Gegenpressï¿½, â€˜Tiki-Takaï¿½ and â€˜Catenaccioï¿½. You can also use the new tactical creator to craft something completely unique to you. The revamped training module is not only fresh and simplified but is also a realistic representation of how clubs develop younger players and prepare the first-team for individual fixtures, and the season ahead. 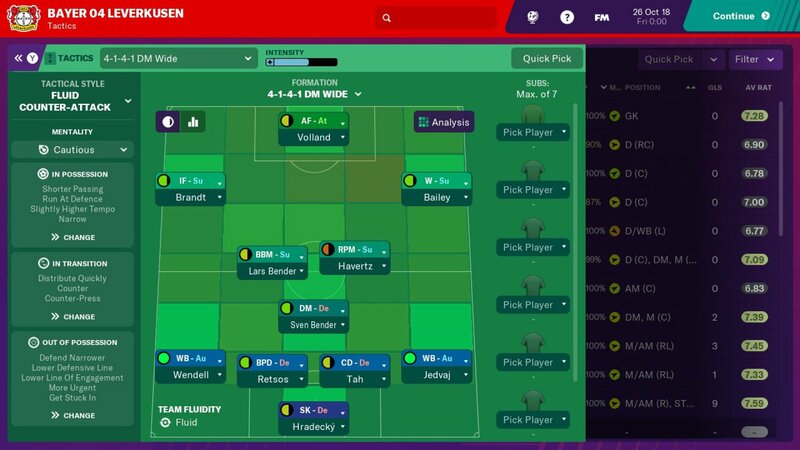 A fresh lick of paint and a host of small, but meaningful changes ensure that FM19 Touch is the the best-looking version of the game ever made.